Blog Post: Guestpost & Giveaway Leta Blake – Training Complex | Love Bytes. Pastry chef and bakery owner Jason Wood bakes a mean chocolate soufflé, yet his love life keeps falling flat. He’d blame his past if he wasn’t trying so hard to avoid it. When his family’s farmhouse burns to the ground, he’s summoned to identify a body found in the ashes. Jason returns to Hancock, Michigan, and reunites with a childhood friend, small town vet Henry McCavanaugh. After fifteen years apart, their rekindled friendship soon develops into much more. But Jason’s baggage threatens their blossoming romance, and he leaves town unannounced to escape his feelings—and Henry’s feelings for him. He has learned the hard way if something seems too good to be true, it’s best to run for the hills. Jason stress-bakes more confections than he knows what to do with before wondering if he’s running in the wrong direction. Available now at Amazon, ARe and Dreamspinner! Today, Indra Vaughn is here on my blog to share a recipe from her upcoming book, The House on Hancock Hill. She’s also running a giveaway and has provided a wonderful excerpt from the book! Let’s welcome Indra! And check out her book! 2. Heat the cooking spray or oil in an oven proof skillet over medium heat. 3. Pair up your slices of bread, spread Nutella on all of them, and banana mash on half of the slices. Then make closed sandwiches out of them. 4. Whisk the milk, eggs, vanilla and cinnamon in a bowl. 6. Cook the bread in the skillet for 2 minutes on either side, then place all the slices in the oven on an ungreased baking sheet for 8 minutes, keeping an eye out so there is no burning. 7. Sprinkle a little powdered sugar on top of the toast to make it look pretty if you like, then serve up and enjoy! Note: If you don’t like bananas or for variety’s sake, you can skip those, just add the Nutella, and decorate with strawberries or a fruit you do like at the end! 1. A signed copy of The House on Hancock Hill + a choice of my backlist + a $25 Amazon GC + a selection of Swag! 2. 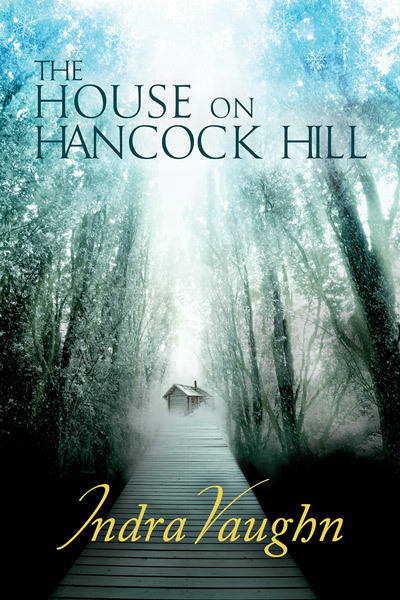 A signed copy of The House on Hancock Hill + a $10 Amazon GC + a selection of Swag! Now go forth and indulge in something yummy. Since the bakery had closed two hours ago, I considered not going inside the shop to check who it was, but the knock came again. I couldn’t remember any other time anyone had tried to get in at this hour, so I stuck my head through the kitchen door. A man was pressing a hand to the window and peering in. I didn’t need to turn on the light to see who it was. That build—those strong shoulders and narrow waist, sharp cheekbones and a well-defined jaw. An exquisitely tailored three-piece suit. If he hadn’t spotted me then, I’d have hidden in the kitchen and waited for him to leave. Swallowing hard, I wiped my hands on a clean towel, snatched off my chef’s hat, and quickly looked down. There was chocolate on my apron, a smear of marzipan on my sleeve. I had butter under my nails. Well, he’d arrived unannounced, he’d have to take it or leave it. I unlocked the door and stepped back, pulling it open. On the threshold, Tom smiled at me in a way that used to make my heart swell. “My God, Jason.” Tom said nothing else, and I couldn’t help it: it thrilled me to see him look at me like that. “Tom.” I faltered. What could I say? Good to see you? I wasn’t sure it was. He grinned at me, and it was so familiar, it ached somewhere inside me even after all these years. “It’s been really busy.” With an apologetic little wave, I indicated the yellow and green Easter decorations, the chocolate ducklings arranged in a row according to size, the huge halved chocolate eggs filled with smaller sugar eggs. “I—yeah, sure.” I stepped aside and let him in, locking the door again so no one else could wander in. At the back of the shop, I flicked the lights on and then watched Tom look around. To see him here was surreal. He was part of a life that had been over for so long, I didn’t know if I was comfortable with him in my bakery. Who was I kidding? Of course I wasn’t comfortable. Tom looked like he’d walked off the front cover of Forbes magazine, and I probably had flour in my hair. To be fair, he peered around with real interest. When he spotted the marzipan animals in every color imaginable, I thought he was going to press his face to the display window like a kid. Tom didn’t have much of a sweet tooth, but I remember marzipan being his Achilles’ heel. “I do the confections and Alice does the bread.” Tom beamed at me, and I rolled my eyes. “Yes, you can try one.” I stepped behind the counter and plucked a little pink piglet off the tray, handing it over with a smirk. A sudden lump rammed its way into my throat when I thought about how I’d kissed Henry in front of his clinic, visible to all and sundry. I shoved the image away. “I guess not.” It was still awkward to hug him. Maybe because it’d been so long since I’d seen Tom, and he’d just appeared out of nowhere. Or maybe I was forever going to be unable to adjust to holding someone shorter. “You look good,” Tom said, and I let him go. After a silence that had me look away first, Tom said, “Is there anywhere we can get dinner at this hour, or does everything close at eight?” He laughed, but for some reason his attitude grated on me. Traverse City wasn’t that small. The Easter bunny broke in two when I took it out of the mold. Tom was perched on the clean worktable behind me, and he laughed. It took me a good minute before I could turn around without showing moisture in my eyes. Tom slid off the counter and put his hands on my arms, rubbing them up and down, so I probably hadn’t hidden my dismay very well. “I’ll go grab my coat.” I went into the small office. It had a little mirror behind the door, and I quickly checked my hair. It did have flour in it. Ah well, at least the scar on my chin was slowly beginning to fade. Lady McNeill Reviews Training Season by Leta Blake Plus Goat Farming Post and Giveaway |. <– Click on the link here to enter a rafflecopter giveaway for Training Season! Don’t feel obligated to read, just scroll down to the bottom and enter! But, if you do want to read the lovely review that Lady McNeill gave Training Season, feel free! I’m so delighted by it!